Noldorin soldier, one of those who followed Fëanor into exile. 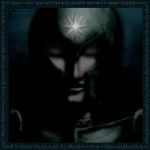 Noldor, the greatest of the Elves in matters of lore and craft. Fëanor and Noldor are characters form The Silmarillion © J. R. R. Tolkien. He has such a beautiful helmet! Thank you! A really old piece, I've got sentiment to it. Hełm koryncki moim zdaniem pasuje do Noldorów, a najbardziej wśród nich do Feanorian. Aczkolwiek ja osobiście sobie wyobrażam ich w bardziej zabudowanej osłonie twarzy. Oraz osłonami policzków zakończonymi bardziej szpiczasto. Ja ich sobie dziś wyobrażam w rzymskich hełmach - podczas wyjścia z Amanu, ale hełm koryncki to też świetny pomysł. Aczkolwiek nie wiem czy Feanor nie znając tak naprawdę niebezpieczeństw Śródziemia, poza opowieściami "starców", uznał, że aż tak zabudowana osłona jest potrzebna. Zakładam, że Noldorowie wyruszyli lekko uzbrojeni, za to błędnie przeświadczeni o swojej mocy i niezniszczalności. Musieli się dozbroić, jak już poznali co oznacza przetrwanie w Śródziemiu. To jest staruteńka praca, powstała zanim się nad tym zastanowiłam, ale nadal się wpisuje w aktualny obraz. W moim fanfiku, to czysta płyta była rzadko używana. Kolczuga jest w sumie dość wygodną zbroją, daje dobrą ochronę. Jedynie noldorska elita nosiła płytowe kirysy. Tolkien nie dał nam zbyt wielu szczegółów dotyczących wielu rzeczy, to myślę, że można spokojnie sobie powymyślać je. Byleby pozostać zgodnym z duchem Śródziemia, a nie orkowie z uzi, czy czarni elfowie. This is beautiful.. Makes me wanna read the kinslaying of Alqualonde from Silmarillion yet again. Or rather read the whole book Do you know more Quenya than this by the way? Hantalë Read the whole Quenta Silmarillion then I don't know Quenya at all, except some common sentences and words, this I got from the page linked in description. But recently I've red this translation isn't accurate. Oh, the name of the image has been translated correctly, I was talking about the translation of the Oath by Milan Rezac linked in the description. The warrior on my image is of Noldorin origin but what matters here is not if he is a Noldo but if he fights on the side of Noldor. I believe that is what the name says - one of Noldorin soldiers. Oh right. But since the dative ending already tells he's "a warrior for the Noldor" isn't the other ending (meaning that he is physically owned by the elves, like a book or a pen would be) still too much? And if I'm not mistaken, the ones approaching Alqualondë were all Noldor, were they? I haven't read the oath that carefully though, so I don't know about that. Almost all Noldor - except some Vanyar among them, like Turgon's wife (and perhaps unknown Telerin descendants never mentioned in the books ). Regarding endings - sorry, I don't understand, as I said I don't learn nor speak Quenya, could you do it on example? Lets take a familiar example then. ohtar means warrior and Noldo (plural Noldor) is, well, a Noldo. Now, by adding the plural dative ending -in to it we get Ohtar Noldorin "a warrior *for* the Noldor. The ending basically means "for" or "to". Possesive ending -va (-wa on nouns ending in a consonant) on the other hand is used to tell that something is owned or is a part of something. Ohtar Noldorwa would then either mean that the warrior is a slave or something to his master, or that the warrior is part of the Noldor physically, which doesn't quite make sense. I hope that helps. That doesn't look very clear though, that explanation of mine. I love this piece. It has some quite strength/intensity. I keep hoping and waiting for Jackson to film this story...tis one of my favorite Tolkien books! Great job, love those eyes! But,no, no, no - not Peter Jackson! R. Scott, B. Bertolucci, F. Coppola, O. Stone, Zhang Yimou, Mel Gibson or Ang Lee. PJ is good for funny movies, Silmarillion isn't one. This is tragedy and should be filmed in a serious way. And I would have died if I saw my fav elves mutilated the way he presented them in LotR - nice if I don't rememeber they supposed to be Eldar. Ah, to weszło wkońcu Kiedyś było tylko na liście w dzienniku, bo nie robili wtedy galerii jak teraz. Lately I try to find out more elven style of armor, but the same time try to not copy the movie designs. Though hard to do something original in that matter. Yeah, quite true.. I've always had trouble thinking elven armour as simple chainmail or heavy knight's armour. The movie designs have affected my ideas, i think.. but i've also tried to keep doing something that's clearly different from those. I agree with your vision of their unbreakable determination and that they must've had full suits of heavy armour, but not like the usual tin can design.. My vision (that i'm still working on..) is fine scale mail + flexible plate which allows good movement and protection, like the suit i drew for Fingolfin. Glad to hear you like it. Those designs by Bejerano look wonderful, thanks again -- you are a great source of information, so really well aware of all Tolkien illustrations you seem to be! Oh, I just collect them arund the web, freak I like the helmets he designedand shields. But helmets the most. "fine scale mail + flexible plate" - I guess I understand, but have to take a look anyway, I'm not that keen on armor names. My current design is too heavy - I used full plate armor image as example, but actually didn't catch it was calvary armor So my Noldor in armor is heavy, has got too short sword and too big shield and probably will finish as Gondorian calvary knight [on the other image, not here]. I agree, those helmets are great.. i like the same basic design that gets the more elaborated the higher ranking the wearer. And reading my own text again i realise that "flexible plate" sounds just wrong.. i didn't mean the armour plates themselves to be flexible -- perhaps "segmented lamellar plate allowing flexible movement" is closer to what i meant. That would be worn over a full coat of mail (a haubergon + brassards and greaves) made of tiny metal scales. Often the just the scale mail haubergon would be worn while travelling and the full plate suit equipped only for battle. hmm... ciekawy pomysl. Ale dla mnie troche za brodzo rozprasza uwage. Ale przy okazji odbilam go poziomo i dopiero sie zosrientowalam, jak jets krzywy... Przemaluje toto calkowicie, z czasem. Tej wersji juz poprawiac nie bede, nowa dostanie lepsze tlo i zbroje, tylko sie podszkole. Kurcze, musze pamietac, by sprawdzac w odbiciu poprawnosc rysunkow, szkoda, ze dopiero niedawno to odkrylam. AAAAH, I love Nightfall in Middle Earth !!! Always great to run into more Guardian fans! Have you joined ~ guardianoftheblind yet? I'm afraid I still haven't had much time to read the Silmarillion proper, so thank you for the link explaining about them. In fact, that explains the whole album a LOT better. As for the drawing itself, I enjoy it, especially the resolute eyes. Read Silmarillion one day, brief history of Noldor in I and II age The book is quite tough at first glance, but it's really interesting. I have started with the book...but a lot of work-type stuff has been getting in the way. I'm actually enjoying it so far; I just wish I had more time to dedicate to it. My personal favorites on that album are "Blood Tears" and "Thorn", but I do like the rest of it as well. "Noldor" is cool, too...and "Time Stands Still" is amazing live!